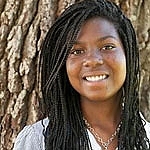 Gina is a beautiful African American girl who is kind and polite to everyone around her. Gina needs a lot of individual attention. Peer relationships can sometimes present a challenge and this teen would benefit from a positive role model who can provide her with educational & emotional support, guidance, commitment for a lifetime.